Whirlpool Galaxy is an interacting grand-design spiral galaxy in milky way. Other name of this galaxy are Messier 51a, M51a, or NGC 5194 etc. 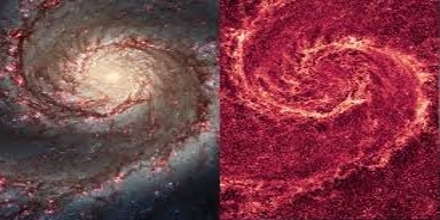 In this article briefly describe Visual appearance and Spiral structure of Whirlpool Galaxy. This Whirpool Galaxy is a popular target for professional astronomers, who observe it to further understand galaxy structure (particularly structure associated with the spiral arms) and galaxy interactions.